If you’re looking to add some airtime or a few adrenalin filled powder turns to your ski or snowboard trip this year, or you’re hoping to explore more of what the mountain has to offer, Valais Switzerland’s choice of snow parks, freeride and ski touring opportunities will see you having a good of a time off the regular ski slopes. 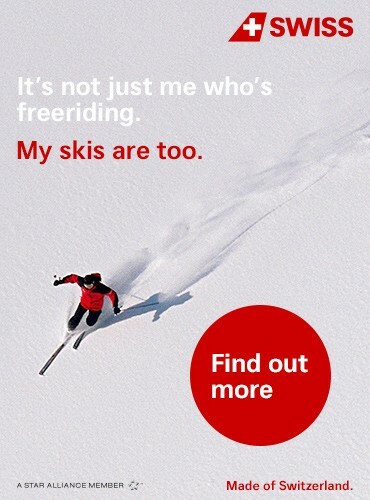 Visitors to Aletsch Arena’s 104km of pistes won’t be disappointed! Voted ‘Best Ski Resort’ in 2018, the Aletsch Arena is a ski-in, ski-out destination with a choice of regular well prepared pistes, a snow load of jumps and rails in the ski and snowboard parks, a halfpipe, and a family fun slope. Take your pick from the TFI Snow Parkat Bettmeralp, which offers a range of kicker and rail lines, plus a pipe, as well as a family park with easier features and banks perfect for learning new skills. Or head over to Eggishorn or Concordia fun parks at Fiescheralp, to find parks perfect for beginner freestylers. If to you, a Swiss adventure isn’t thrilling enough without bearing off-piste in Switzerland, then you’ll be pleased to know the Aletsch Arena offers guided ski touring too. With breath-taking views at the majestic Valais peaks and the immense Great Aletsch Glacier, scaling these peaks on a ski trip in the stillness of the mountains is a truly uplifting experience. Nendaz is located right in the heart of the 4 Valleys, a resort with an extensive 400km of slopes on its doorstep; it’s an excellent pick for guests hoping to explore off-piste Switzerland through ski touring or freeride. Nendaz is known for its freetracks, non-prepared but patrolled slopes which provide supreme freeride experiences to both skiers and snowboarders. Offering all the adrenalin and excitement of a powder heavy off-piste slope, Nendaz’s freetracks can provide some of the best powder experiences in Switzerland on a safe, patrolled slope. Lessons with a local freerider are also available (on request) during the winter. If speed and powder bashing without the physical challenge of trekking across huge stretches of mountain landscape isn’t cutting it. Perhaps one of Nendaz’s four new ski touring itineraries might interest you. The total distance of the four itineraries is 15km. Each path ends up on a slope in order to allow the descent on a prepared piste – your reward at the end of a challenging day. If you enjoy challenging descents and combining airtime with tricks and jibbing, you will love the freestyle park facilities in Thyon. In the snow parks, there are a choice of two lines, The Gaspard Le Montagnard Fun Line, which is made up of small features to allow riders to try out jibbing and improve progressively, and The Central Park Line, made up of medium features for lovers of freestyling and shredding. Here guests can ride banked turns, different size waves and a huge range of freestyle features, each more fun than the last. Plus, new for this winter, the fun park’s airbag will be making an appearance, so you can learn new jump tricks and land safely on the bag. Just like Nendaz, Thyon sits within the huge ski area of the 4 Valleys providing the resort with access to endless pistes, so when not in the park guests can warm up their flatland ticks on 400km of slope in preparation for an afternoon in the park. The Région Dents Du Midi is made up of six ski resorts complete with some of the most legendary Swiss ski and snowboard parks and freeride in Switzerland. Across Champery, Champoussin, Les Crosets, Morgins, Troistorrents and Val-d’llliez, these villages make up part of Les Portes du Soleil, the world’s largest international ski area, offering over 1,000km of natural beauty year-round. One of the area’s highlights is the iconic Superpark, set right in the heart of Les Crosets and what has been the designated stomping-grounds for freestyle skiers and snowboarders since 1998. Today, the devoted Superpark team provide a wide variety of jumps, slides and other modules, two different snow parks and a space reserved for professionals, for a grand total of over eight different lines. The ski touring opportunities are nothing short of thrilling either. Endless, wide-open spaces and untouched powder; ski touring is a demanding sport, but the rewards are well worth the effort. Equipped with synthetic 'skins' that stick to the bottom of your skis, you're free to explore up-hill and down, as far as you can ski in the Région Dents du Midi. 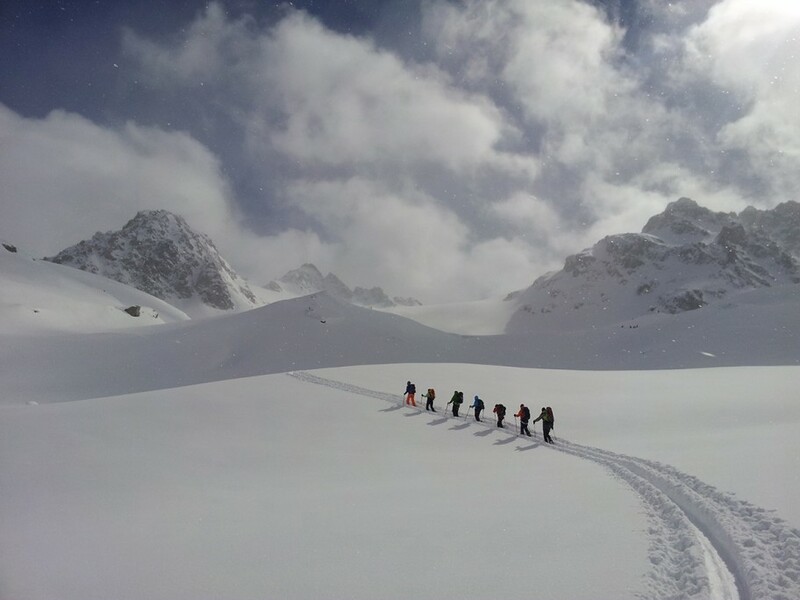 And if you’ve never tried Ski Touring before there are plenty of introductory opportunities on dedicated trails. However, guests can pick up more than just basic ski touring skills in Région Dents Du Midi. Besides an introduction to ski touring visitors to Morgins can make the most of the Rando Parc which offers a unique approach to ski touring with a safe training ground for skiers of all levels. Alternatively, visitors can pick up some new skills at the Avalanche Training Centre, book an off-piste guide to explore the magnificent Valais Alps, or get up early in Morgins and make first tracks before the lifts are even open. Whatever you thrill seekers decide will add even more adventure to your visit to Switzerland, Valais has you covered.